ReactJS has been taking the world of front end development by storm. Described by its own homepage as the V in MVC, React allows you to build reusable UI components and makes maintaining changes in your data’s state effortless by abstracting the DOM. Combined with a bundler utility like Webpack, React greatly simplifies building and maintaining Single Page Applications. In this post, we’ll go through the steps of setting up two basic React components that use ES6 features, use Babel to transpile them to ES5 and bundle them using Webpack. This is going to be fun because React, ES6, Babel and Webpack play together particularly well. Before we get started writing code we have to install the right tools. First make sure you have NodeJS and npm installed as we’ll use those to install the packages we need. Go through all of the prompts filling out whatever information you feel is appropriate and a package.json file should be generated. This will allow us to keep track of what node modules we need for future reference. Now that our bundling tool is taken care of, we need a transpiler for interpreting our ES6 code. 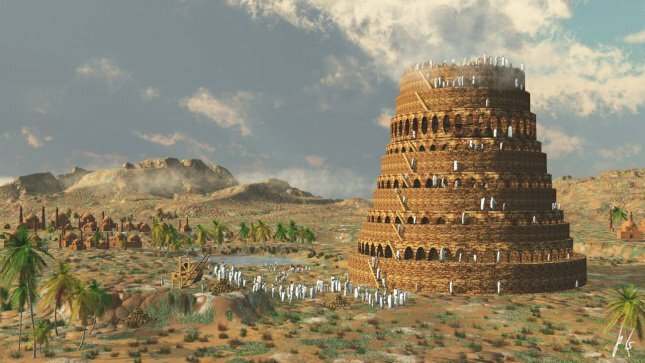 This is where Babel comes in. Let’s install the babel-loader and babel-core packages that we’ll use to work with Webpack, as well as the ES2015 and React presets for loading the code that we’ll write. In React, components are the individual building blocks of how your data is viewed. You write components to handle how your data should look and to automatically render state changes. When you create a component, you define all of this by overriding React.Component’s render function. Let’s dig into this by writing our first component whose job is to render the word “Hello” into the browser. There are a couple of things to note about the syntax. First off, we have ES6 import statements and class definitions, which makes our code more concise by not having to call React.createClass. But there is also some funky looking inline HTML type stuff in the component class definition’s render function. This XML-like syntax being returned from the function is called JSX. It was designed to make building React components easier because it is concise and familiar for defining tree structures with attributes. When we use JSX, we are able to define our virtual DOM element more concisely without having to call React.createElement and passing which attributes the element should have. Our simple Hello component may have the same number of lines of code but JSX makes things much easier as you continue building components and combine them together. Now that we have our component class, we need to add some code to “mount” this component to a DOM element. This will take our React component and render it to display within an element of an HTML page. To do this we import the React DOM and call its render function, passing in a component object as well as an actual DOM element to attach to. 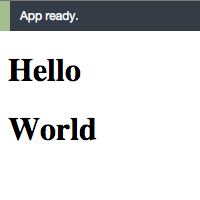 We’ve now created all of the code we need to display “Hello World” in a browser using React components. The final step in getting this code ready to run is to pass it through Webpack. Next we need to tell Webpack that this will be our entry point and which loaders to use when creating the bundle. We are only using the Babel loader, but we could use other loaders for things like CoffeeScript and SASS if we had other dependencies. 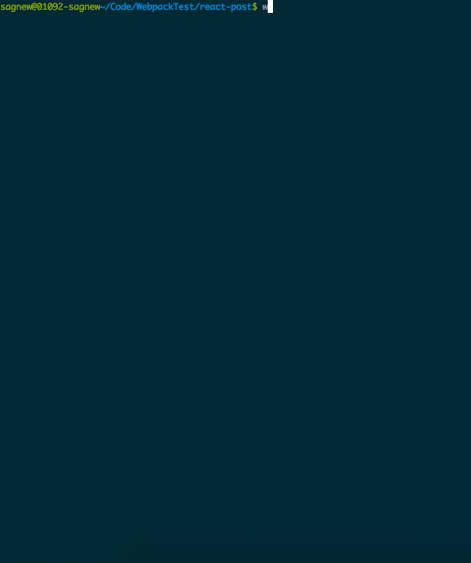 Watch as your terminal comes alive while Webpack builds your code to run in-browser. Now that the dev server is running, you can navigate to “http://localhost:8080/webpack-dev-server/” in your browser to see your Hello World React app displayed beautifully on the page. We’ve just built two React components using Babel for JSX and ES6 syntax and bundled them together using Webpack. This may not seem like much, but it is a solid start on the path to building bigger single page applications. You’ve now overcome the hurdle of getting a bunch of new technologies to work together and can finally start making awesome stuff with React. If you want to dive into building an actual React application, you can check out this other hands on blog post I wrote recently about building a dashboard with React for monitoring phone calls using the Twilio REST API.